Keratocunjunctivitis Sicca (KCS) or dry eye as it is commonly known, is a condition found in humans and animals where the eyes do not produce enough tears or moisture for the eyeballs to stay moist and shiny. Which animals are prone to dry eye? The condition is common in dogs and rare in cats. Cats who do suffer from the condition tend to show fewer symptoms of eye problems than dogs. Certain dog breeds are predisposed which include Cocker Spaniels, Bulldogs, West Highland White Terriers, Lhasa Apsos and Shih Tzus. A cherry eye is a non-life-threatening condition that occurs in dogs, and less often in some cat breeds. 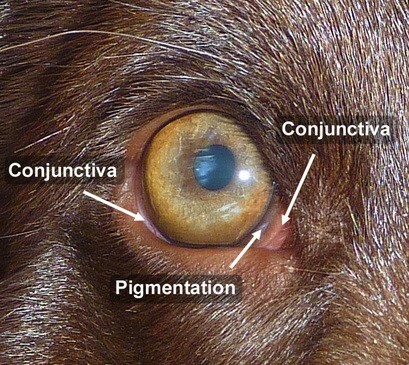 It is an extremely descriptive term, as one can see an oval, bright red swelling in the inside corner of an affected dog’s or cat’s eye, resembling a cherry. As a pet owner one can easily become quite alarmed by seeing this, but fortunately, it only causes slight irritation to the dog initially and you will have time to attend to it and take your animal to the vet before the condition gets out of hand. It is never a good idea to just leave it be. The condition tends to occur more commonly in younger dogs and cats, usually between the ages of 2 and 6 years. 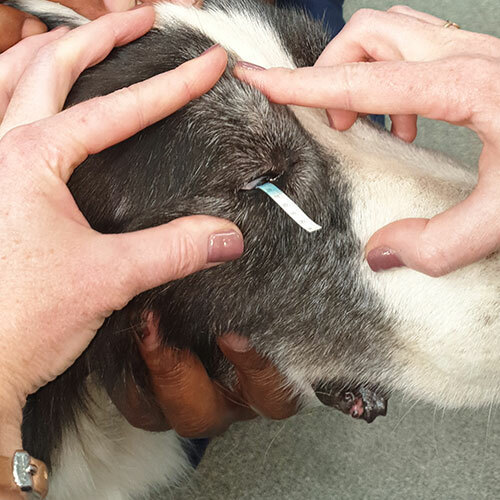 Following recent outbreaks of Distemper (Hondesiekte in Afrikaans) in Kwa Zulu Natal and Gauteng, it is important to have an understanding of this disease which is fatal in half of all cases of dogs that contract the disease. My pet injured its eye! Just like in people, the eye of a dog or cat is a delicate structure that can be affected by a huge number of different conditions. This article will cover trauma to the eyelids, third eyelid and cornea. The eye of the dog and cat is very similar in structure to the human eye but there are one or two differences. Both a cat and dog’s eye is globoid (round) in shape. The part of the eye exposed to the outside is protected by the eyelids and eyelashes, just as in people. The cornea is the see-through part of the eye. It is a thin layer, allowing light to pass through the pupil and lens to the back of the eye. The white of the eye is known as the sclera. The conjunctiva is the pink part of the eye that can be seen between the eyelids and the eyeball. Dogs and cats both have an extra membrane, known as the third eyelid or nictitating membrane. This membrane can be seen in the inner angle of the eye and sometimes it can cover most of the eye, particularly following trauma. The vet could not cure my pet! First things first, there are always 3 parties to any veterinary consultation: The vet, the pet and the one often overlooked, the owner. 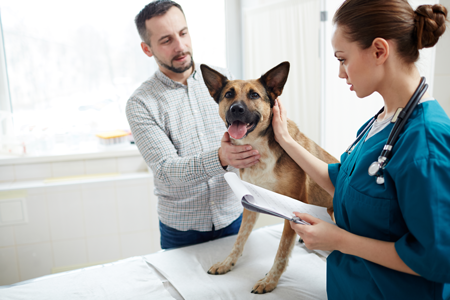 For any veterinary treatment to be successful at least two of the three parties, namely the vet and the owner, are pivotal to the success of any intervention. As an owner, you are the eyes and ears of the vet in the home environment and most importantly no one knows your pet the way you do. The truth is we the vet cannot do their job without you. I am sure many have heard the saying that vets have it harder because their patients don’t talk, they can’t tell the vet what is wrong, or where it hurts. It is for this reason that a vet will require every bit of additional information they can get from you, the owner. Animals are as biologically complicated as people, in fact, most medical ailments affecting people can affect animals. Taking your elderly dog to the vet for an annual check-up can sometimes feel like a waste of time and a big inconvenience to the pet involved. The stress involved and the difficulty of transporting a big elderly dog, which is not so mobile anymore, may make you wonder if it is really necessary. The answer is a very big YES! At what age exactly are dogs considered geriatric? You may find different views on the internet and as with humans, it does depend to a large degree on the individual animal. Some humans are sprightly and active at age 75 and others are tired and sickly at age 60. The same applies to dogs but there is a general consensus that small breed dogs generally have a longer life span than medium and large breed dogs. 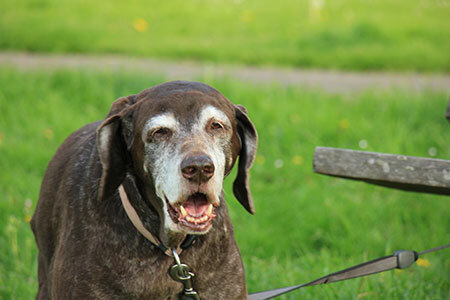 Giant Breeds are considered geriatric at the early age of 6 to 7 years, whereas breeds are only regarded as geriatric when approaching ten to twelve years of age. The aim of an annual check-up for an adult dog is not just to update the vaccinations, but to give the veterinarian an opportunity to evaluate the dog’s general health and pick up any problems that might have gone unnoticed by the owner. The broad generalisation is that for each one year a human ages, a dog will age the equivalent of 7 years. If you look at it in this light, it will make sense that in older dogs, regular check-ups, as in humans, are vital. The vet will also ask the owner a series of questions to establish how the animal is doing at home. 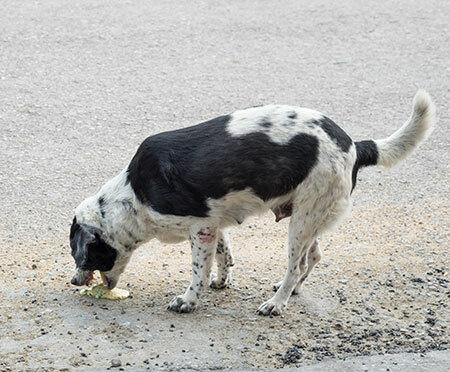 Things to start looking out for when an animal gets older is a loss of appetite, losing weight, struggling to get up and move around, as usual, drinking and urinating more than usual, and general signs like vomiting and diarrhoea. Due to improvements in nutrition, veterinary and home care, cats are living a lot longer than they did twenty to thirty years ago. In the past when a cat reached the age of 13 years old, we believed them to be really old. This is definitely no longer the case. We see several cats that are now reaching ages in excess of twenty years. 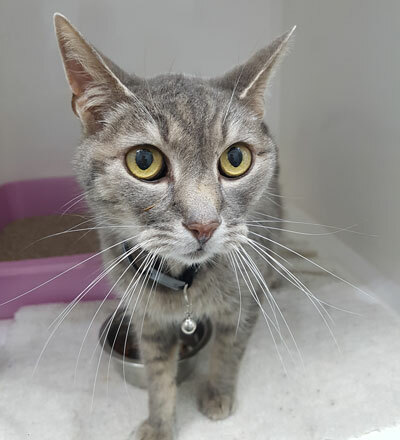 Cats also tend to age a lot more gracefully than dogs and so it is not always easy to tell when they are starting to struggle or are showing signs of illness. Is vomiting a sign of an upset tummy? 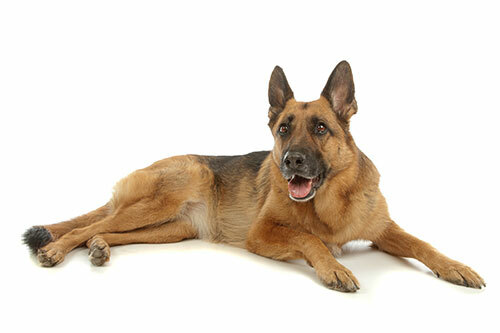 This article outlines a genetic disorder that mainly German Shepherd dogs are prone to. 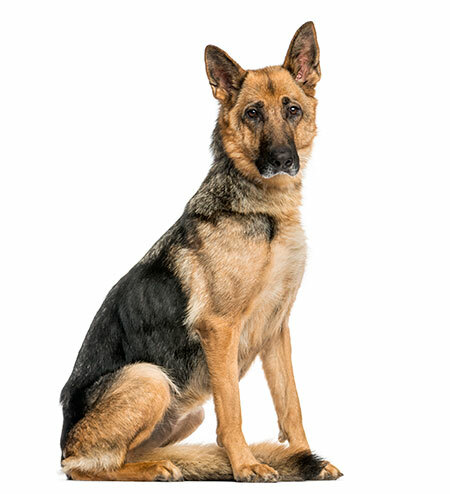 There are other breeds affected by this condition too like Chesapeake Bay Retrievers, Corgis, Boxers, Wirehaired Fox Terriers and Rhodesian Ridgebacks, however, the disease is mostly seen in German Shepherds. If one breaks down the name of the disease it describes what happens with the disease. Degeneration refers to a breaking down or deterioration of something. That “something” in this case is myelin which is the insulating sheath around neurons in the spinal cord. Neurons are the “electrical wires” of the nervous system and one can compare myelin to the insulating plastic around the wires, almost like one would find with an electrical cord. Whenever a term is followed by “pathy” it refers to a disease or disorder in a certain part of the body. In this case the spinal cord. My dog is ravenously hungry all the time and eats like a beast but is as thin as a rake. Why is the pancreas important? The pancreas is a small, light pink, glandular organ that is situated between the stomach and the duodenum (part of the small intestines). It has many important functions, all of which can be classified into two main categories namely endocrine and exocrine. The endocrine function of the pancreas refers to its hormone-producing cells. Hormones are small chemical messengers that are released into the bloodstream. Two important hormones produced by the pancreas are glucose and glucagon, both of which are important in maintaining blood sugar levels.